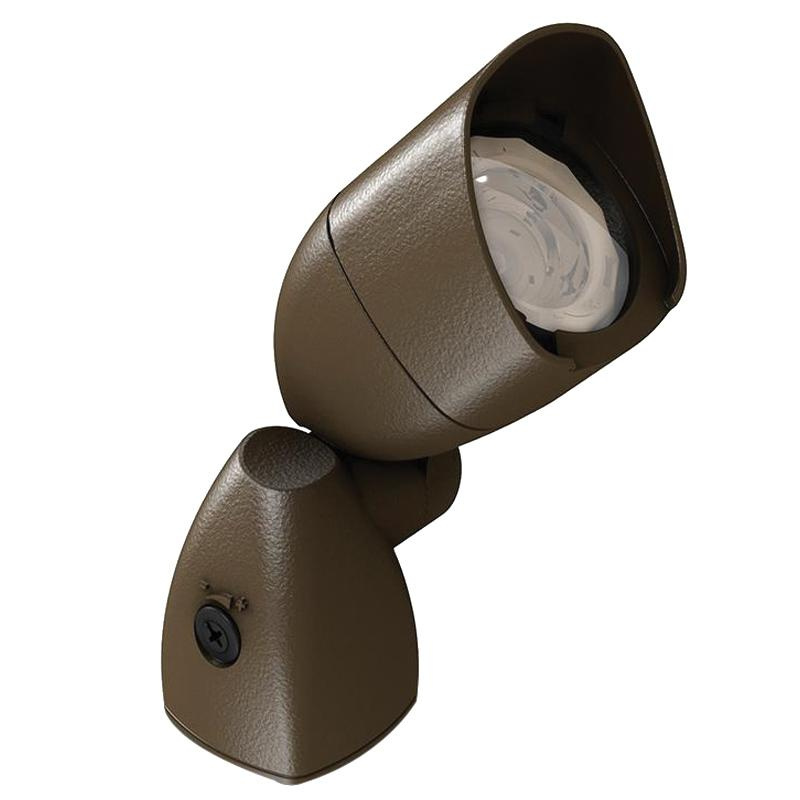 Philips Lighting FlexScape Low-voltage accent LED luminaire in thermoset polyester powder coated black finish, features die-cast aluminum housing. Luminaire uses 10-Watt integral LED module lamp. Lamp has color temperature rating of 3000K. Lamp has voltage rating of 12-Volts. Lamp offers average life of up to 50000 hours. Stake mountable bullet shape luminaire measures 4.56-Inch x 5.04-Inch. Accent LED luminaire is ETL/cETL listed.